Relief is coming to motorists who drive on two of the most traveled roads in the Las Vegas Valley. Stretches of Maryland Parkway and Eastern Avenue are set for repaving projects, beginning next week. The projects, totaling $9.8 million, will see Maryland repaved between Russell Road and Twain Avenue, while Eastern will be repaved between Flamingo and Desert Inn roads. Work with the projects entails reconstruction of the pavement, new medians and sidewalk, curb and gutter improvements, said Russell Davis, management analysts for the county. Lane closures and shifts are expected, including times when traffic will be constricted to one lane in each direction, Davis said. 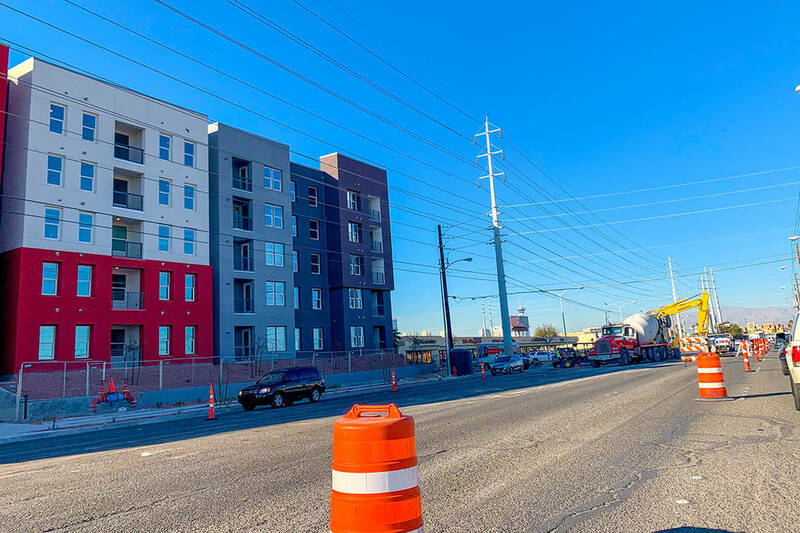 The first work associated with the projects begins Monday with the realigning of Cottage Grove Avenue to connect with Rochelle Avenue near UNLV, which includes the addition of a new traffic signal at the intersection, Davis said. Construction related to Cottage Grove is slated to occur between 7 a.m. and 3:30 p.m.
Cottage Grove’s realignment is slated to be complete in late June. Traffic disruptions associated with the Maryland construction, where 35,000 vehicles travel along daily, will vary depending on the section being worked on, which starts April 8. Work between Russell and Tropicana will occur between 9 a.m. and 3 p.m., when lane restrictions in each direction will occur. To mitigate traffic disruptions to students closing out the spring semester and those attending classes in the summer, work in front of UNLV will occur between 9 p.m. and 6 a.m. between Tropicana and Flamingo. “If you keep most of the work done there at night, it shouldn’t really impact them (students and faculty) that much,” Davis said. Work on the stretch from 500 feet south of Flamingo to Twain will take place from 7 a.m. until 3 p.m. and from 9 p.m. until 5 a.m., according to Davis. Major work with the project is expected to wrap up by the end of August, Davis said. Ryan Monahan, an employee at English Garden Florists in Tiffany Square, located on Maryland near Flamingo, said the improvements are a long time coming for the parkway, but he has his reservations. English Garden has already seen business disruption due to the delayed, under construction UNLV student housing building on Cottage Grove. After seeing construction associated issues for the past two years due to that project, Monahan hopes the work schedule stays on track. Work on the Eastern Avenue portion of the project will kick off in April, with the major work slated to wrap up at the end of August. Lane closures and shifts are expected with the project. A public meeting will be held next month to further address the Eastern repaving project.